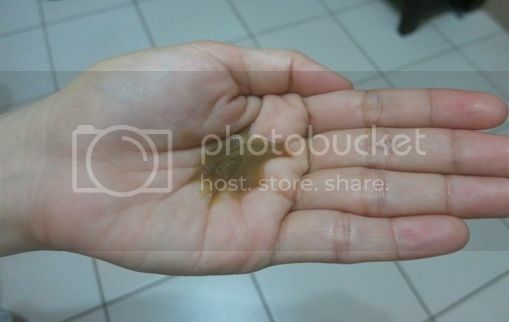 A Novuhair® 2-in-1 package was delivered to my doorstep last March for review. 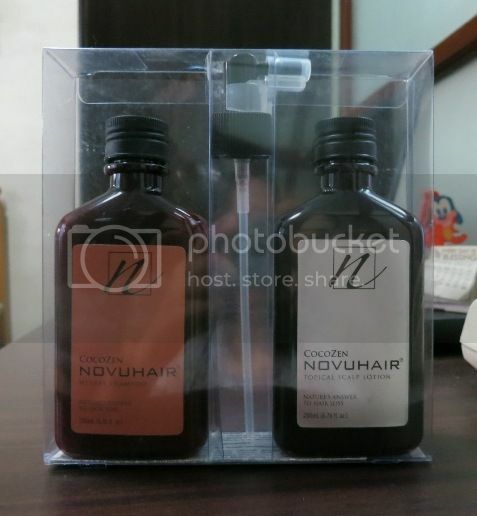 The package contained the Novuhair® Herbal Shampoo (200 ml) and the Novuhair® Topical Scalp Lotion (200ml). According to their website, Novuhair® is “nature’s answer to hair loss.” I was excited to try these products because I have thin hair and I suffer from occasional hair fall, but I only started using the shampoo and scalp lotion last April 19. Novuhair® Herbal Shampoo contains pure botanical extracts that help promote healthy scalp and stronger hair follicles. 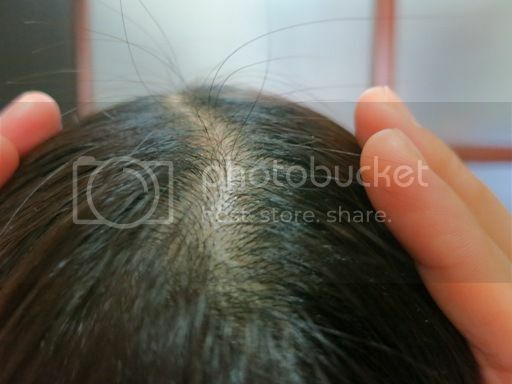 Everyday use results in stronger hair roots and healthier hair. 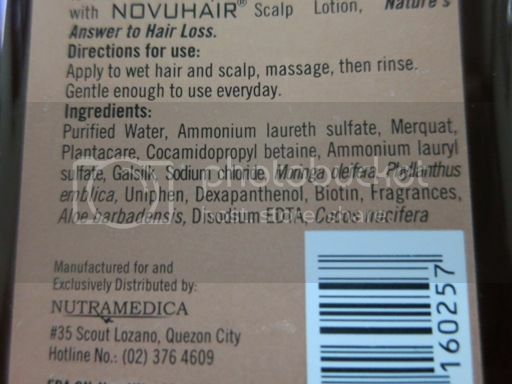 Novuhair® Herbal Shampoo should be used in combination with Novuhair® Topical Scalp Lotion. Novuhair® Topical Scalp Lotion: After shampooing, apply topical lotion on the scalp twice daily (morning and night). Massage scalp gently for 5 to 10 minutes using finger pads. For best results, do no rinse. During the first week, I used the Novuhair® Herbal Shampoo twice a day and the Novuhair® Topical Scalp Lotion once a day. I use the herbal shampoo in the morning when I shower, apply the topical lotion on my scalp once a day (usually in the afternoon), and shampoo again at night. However, during Week 2 and up to the present, I haven’t been applying the topical scalp lotion regularly and have been using the herbal shampoo only once a day because I’ve been really busy with my son’s summer class, enrolment and work. I also haven’t been using any conditioner after shampooing, too, since Day 1 because I wanted to experience the full effect of Novuhair®. •	The herbal shampoo really cleans my hair and scalp. 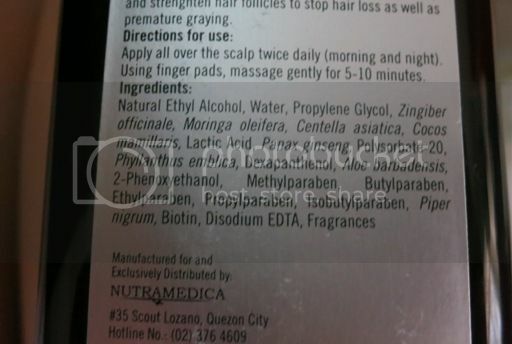 •	Both the shampoo and scalp lotion have cooling effects on the scalp. •	I have no dandruff since I started using both products. •	Both products are made with natural ingredients that do not have harmful side effects. •	After using the herbal shampoo, my hair gets so tangled, and it takes me longer to finish combing my hair. •	The scalp lotion leaves stain on clothes, so I always place a towel or cloth around my neck to prevent drops of the scalp lotion from touching my shirt. After more than 3 weeks of using Novuhair® Herbal Shampoo and Novuhair® Topical Scalp Lotion, I see new hair growing on my scalp. See the small hair standing up on my head? New hair growing! Look, they’re standing up! 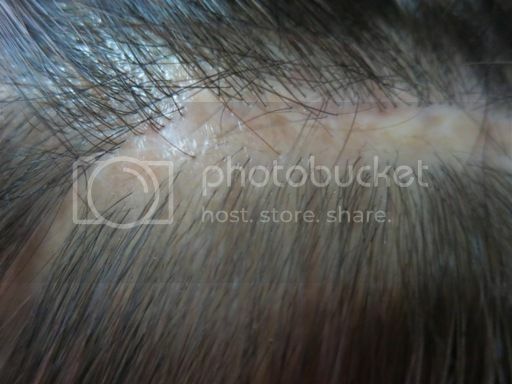 I also have a long scar in my head which was the result of a surgery I had in 2004. No hair has grown on that scar for 9 years. However, my helper who was the one applying the topical lotion on my scalp excitedly told me that hair is growing on some parts of the scar. If Novuhair® was able to grow hair in the bald spot of my head that hasn’t grown hair for so long, then it must be effective! However, I still have a long way to go before I grow a lot of new hair, and that means I should use Novuhair® Herbal Shampoo and Novuhair®Topical Scalp Lotion regularly if I want to achieve better results. •	I wish they would come up with a conditioner, too, so that my hair doesn’t get tangled after shampooing. •	I also wish they could lower the price of their products. Novuhair 2-in-1 in Watsons is priced at almost Php4,000. If they reduce the price, then more people can afford to buy it. While searching for solutions to hair loss, I was also looking for options to grow my lashes and found this review of Latisse. You might want to check this out, too! This entry was posted in Hair Care, Hair Fall Treatment, Hair Loss, Novuhair 2-in-1, Novuhair Herbal Shampoo, Novuhair Topical Scalp Lotion, Product Review, Thin Hair, Thinning Hair. Bookmark the permalink. How does it smell? My aunts loves herbal shampoos and I think they tried everything in the market and almost all of them has strong pungent smell. And yes they make their hair limp and heavy. I will try to recommend this to them. Thanks for sharing. Awww, I hope somebody send me Novuhair too! My mom uses Novuhair. Is there more progress going on with your hair now? Kindly update me coz I have really got to do something with my hair fall which has increased a lot lately. Yeah, I echo you when you said the company should lower their price so more people can buy and keep using it for as long as they can! Thanks and nice blog you have here. Hey 🙂 Thanks for this. I just wonder if they have vitamin supplements to support the topical solution to hair loss. I’ve read a lot about having a good hair growth and many say growth should come from within. Topical solutions only last for a time. ← Beautiful Endings, Everyday with Cif: A Mother’s Day Event!